Let’s face it. The very nature of outsourcing makes it prone to miscommunication, ultimately because of the lack of physical contact between the employer and the employee. But this should not turn you off, since more and more companies are embracing remote work and remote teams. When done right, outsourcing to the Philippines can be a rewarding experience for both you and the Filipinos that you employ. The operative term here is when done right. If you’re just starting out, it’s expected that you will commit mistakes as you try to figure out a system that works for your needs. In fact, you will find yourself continuously changing your processes as you grow and as your business changes. However, there are mistakes that are repeatedly committed by many outsourcers and these can be considered as “outsourcing mortal sins” and they are made by both outsourcing rookies and veterans alike. The following are the top 10 mistakes outsourcers to the Philippines make (over and over again) and how you can avoid them. A lot of entrepreneurs think that because they’re outsourcing to the Philippines, they don’t have to manage their employees. As with any other entrepreneur running a brick and mortar business, you need to immerse and train your employees to get them acclimated and used to your ways of working, your processes and your systems. At first, this might look like a lot of work and in the beginning, you really have to do some hand-holding to an extent. But if you really want to be a successful outsourcer, there’s no way to get around this. There are three ways outsourcers fail in this aspect. First, there are outsourcers who refuse to manage their virtual staff at all. Outsourcers can be considered experts in their fields, but you still need to do the on boarding process for your remote employee. Likewise, as their “supervisor” you need to check in on the progress of their tasks every once in a while, get their feedback on what challenges they are encountering and get a temperature check on how they feel about working with you. You don’t have to do this every day. Twice a week is a good place to start. Second, there are outsourcers who micromanage their staff. Come on! 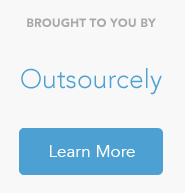 The primary reason that you are outsourcing is so you can free yourself from some of the tasks. If you’re going to micromanage them – checking in on them every 10 minutes, asking them to complete tedious reports, and telling them what to do every step of the way – then you might as well do the tasks yourself. 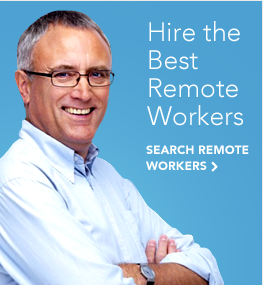 Also, this would hurt your remote workers productivity. Instead of doing their tasks, they waste their time chatting with you or completing tedious reports. Also, no one likes to work if their boss is constantly looking over their shoulder. Third, first-time outsourcers who refuse to learn good management. There’s a business mantra that all good managers are good employees but not all good employees are good managers. If this is the first time that you’ll have someone under you, it’s okay if you commit mistakes. What’s not okay is refusing to learn good outsourcing management practice because of ego and because you don’t want to ask for help. Leave your ego at the door and don’t hesitate to ask more seasoned outsourcers for tips and advice. Location, location, location is a popular real estate mantra that can also be applied when outsourcing to the Philippines. If you’re outsourcing very general and mechanical tasks, it’s okay to get someone from smaller cities and provinces. This may include simple data entry and small administrative tasks. However, if you’re looking for someone that can perform more complex sophisticated tasks, you may need to hire from bigger cities. This is because people in these urban areas tend to be more technologically savvy and better educated because good universities and commercial areas are concentrated in these places. When you hire from cities, it is very likely that you will find someone who has a bachelor’s degree and is used to working in the corporate setting. There are many of them who used to hold managerial positions in their previous organizations and left their jobs for an opportunity to work remotely. If you’re looking for a project manager, a writer, a highly skilled VA, a programmer, a marketing specialist or anything that involves highly specialized skills, it’s better if you hire someone from urban areas including Metro Manila, Metro Cebu and Metro Davao. There are a number of outsourcers that are blinded with the amount of money they can save by employing someone from the Philippines. These people tend to outsource without taking a good look at their business and analyzing which tasks are smart to outsource and which tasks are better to keep in house. Before outsourcing anything, sit down and take a closer look at your business’ day-to-day operations. From here, shortlist the tasks that you can unload from yourself and outsource to someone in the Philippines, which will give you more time either to do other things that will grow your business or pursue personal interests. Of course, there are certain projects/task that will work for a remote team, no matter what business you run. This article is an example of the “gold standards” – they serve as general guidelines and are meant to steer you in the right direction. However, every business is different. Your needs are different. You, as a business leader, have a different set of personality traits compared to other outsourcers. This is why you can’t just be a cookie-cutter outsourcer. You have to analyze your own needs and tailor fit your systems and processes. Hiring someone from the Philippines is already inexpensive. So, don’t lowball prospective candidates anymore. Here’s the deal. Outsourcing to the Philippines is cost-effective. It’s not dirt cheap, but compared to the labor cost in the US, it’s only a fraction of what you’d pay if you hire someone onshore. A lot of outsourcers are saying that paying someone from the Philippines $250 per month for full time work is already a fat paycheck. Well, the truth is, if you’re hiring someone to perform more complex tasks, you have to shell out more. For example, experienced writers in the country won’t accept this offer. And if they do, they would consider their stint with you as a temporary gig, just to tide them over. They might be churning out content materials for you, but at a couple of hours per day, they are likely actively looking for an employer that would pay a higher rate. Experience, talent and reliability often come with a price. And let’s face it. Most of the time, cheap products often fail sooner. It’s the same with outsourcing. Ask anyone who has worked in a large organization with international presence before and who has handled a team from different countries and they’ll tell you that taking into consideration a person’s culture is an important aspect of a smooth-sailing work relationship. While you can expect your virtual staff from the Philippines to adjust to your culture, there are just things that you cannot change. These include time constraints, certain language quirks, personality, inherent cultural traits, social norms and overall attitude. Filipinos for example, are (generally speaking) very shy and polite. This is why it could be difficult for them at first if they are placed in a role that they need to assert themselves and be aggressive. For example, Filipinos may have a hard time performing the role of a collections agent and persuade late-paying customers to settle their arrears. They will adjust sooner or later, but the key is for you to understand these cultural nuances so you can re-calibrate your expectations. People are different and this is one of the things that you will learn when you are trudging through the global workplace. The key to forging a cohesive remote team is understanding these differences and embracing them. The difference in time zones. The cultural differences. The distance. The language barrier (sometimes). All these should prompt all outsourcers to have a proper work structure and systems of communication in place. Remote teams need stability and a strong structure. You need a set of protocols to ensure that nothing falls through the cracks and nothing gets lost in translation. You need systems to document your processes. While you live in different time zones, you have to set aside and schedule a common time for all team members to get on a call and update each other on the progress of tasks. You will also need collaboration and project management tools where team members can exchange ideas, update the status of the projects or tasks they’re working on and share files. Do you think the Internet is evil? Do you believe that nothing could beat the old-school ways of running a business? Are you afraid to try new technologies? Do you have a tendency to resist change? If you answer yes to all or some of the questions above, you should probably re-think outsourcing to the Philippines. Why? Because aside from globalization, outsourcing is mainly driven by technology. Without technology – video calling, telecommuting products, project management tools, web-based time tracking software, electronic job sites, and web-based payment systems – outsourcing wouldn’t even exist. Traditionalists entering the outsourcing market are easy to be left behind. A lot of investment has to be made in buying new tools and software to keep your remote team at the forefront. There are many entrepreneurs who make the mistake of trying to cut corners and scrimp on these technologies. Meanwhile, their competition is funneling more money into upgrading their systems to ensure they are a well oiled remote working machine! Here’s something that not all outsourcers know: you should never pick your workers based only on what they can do now, but instead what they can possibly contribute to your company’s growth in the future. Not recognizing the skills of your workers can make them feel undervalued, as if they’re not part of something bigger than themselves. It goes both ways. If you do not believe that they are important aspects of your company, they won’t think your company is important either. This can result in poor performance at work or even get to the point where your employees get bored and leave altogether. You might be thinking, well, I can always hire someone else. While that might be true, consider the time that you’ll spend onboarding and training new hires. It’s time consuming and if you believe that time is equivalent to money, then you’re wasting money if your remote employees are constantly leaving you. Sadly, many outsourcers just don’t believe in the talents and skills of their remote staff because of pre-existing prejudice. Many entrepreneurs, who are just outsourcing to take advantage of cheap labor, believe that someone from the Philippines won’t ever match the intellect of someone with a degree from the US. This is not the case and it’s sad that a lot of entrepreneurs still have this bias. There are a lot of fly by night entrepreneurs who decide to put up a business they know nothing about and the solution they often turn to is to outsource the core of their business. We cannot stress this enough. The core of your business should rest on your own understanding and expertise of your niche and industry. Remote workers can be experts as well but depending solely on them should never be an option. Remember, employees come and go, so you should always be the primary custodian of your business.